The veterans like Mohammad Hafeez and Sarfaraz cleared the test while a few youngsters couldn't get the required score. Former world champions Pakistan are busy dealing with their probables for the upcoming ICC World Cup in England and Wales to pick the best for the business. On Monday, the Pakistan Cricket Board (PCB) conducted fitness tests of the 23 probables for the tournament though it didn’t reveal the results. It was though learnt that veteran all-rounder Mohammad Hafeez cleared his test and was one of the top contenders for a berth in the final squad. Skipper Sarfaraz Ahmed also cleared the fitness exam, reports cited inside sources to reveal that except in-form batsman Abid Ali and all-rounder Emad Wasim, all other players cleared the tests by making the required 17.4 points base in the Yo-Yo test. Among the top scorers was Mohammad Rizwan who got 20 on the yo-yo test, Shan Masood and Hassan Ali with 19 each. “Imad is hampered by a knee problem which has flared up again and is undergoing rehab at the NCA while Abid failed the test,” The Quint cited reports quoting the inside source. Emad had also taken an unofficial test but didn’t clear it, it was added. 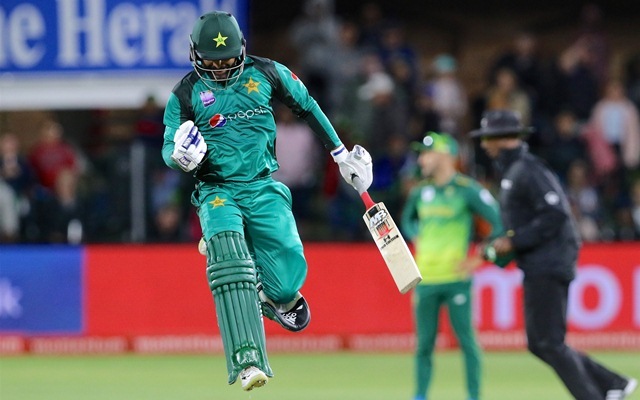 The 38-year-old Hafeez, who underwent two surgeries on his injured thumb in England and will return to action in two weeks’ time by passing a fitness test, now has a strong hope of making it to the WC squad. However, the Pakistani selectors didn’t invite players like Umar Akmal, Ahmed Shehzad and Wahab Riaz for the tests despite their good performance in the recently concluded Pakistan Cup their national one-day competition. Riaz was cited as telling a private television channel that he was upset on not being summoned for the fitness tests. The temperamental left-arm pacer made memorable contributions for Pakistan in both the 2011 and 2015 World Cups. “It is very disappointing for me to not be considered for the World Cup in which I have always come up with good performances. But I can only do my best and hope for the best,” Wahab was quoted as saying. However, another Pakistan pacer Mohammad Amir who went wicketless for a series of games of late cleared the fitness test although it was still debated whether the left-arm pacer should be in the WC squad, given his current form. Pakistan will play their first game of the WC against the Windies at Trent Bridge, Nottingham, on May 31.